A collection of laissez-faire billionaires, racists, and libertarian nuts. There are plenty of nuts in the Trump Administration, I have written about them extensively here at Target Liberty, but there are no libertarians in the higher ranks of the Trump administration (There are a couple of infiltrators at lower levels). As far as "libertarian nuts," libertarianism is about liberty for the individual that is all. That is not nutty to me. 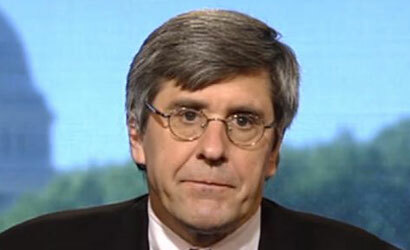 In your essay, you seem to classify President Trump's nominee to the Federal Reserve Board, Stephen Moore, as a libertarian. But a consistent libertarian wants nothing to do with the Fed other than to shut it down, see my book: The Fed Flunks: My Speech at the New York Federal Reserve Bank. Moore not only desires to be a part of the Fed but has called for more aggressive Fed manipulation of the money supply. Libertarians hold there should be no central banks and no government manipulation of interest rates or the money supply. We view it as statist intervention for the benefit of the crony elite. When you are calling out Moore, you are calling someone out on your staist side of the tracks, not the libertarian side. He is a nut all right, which I have detailed for a long time, but he is a statist nut. I think the Kochs and Cato have about ruined the libertarian brand. I hate changing names (again), but maybe we should consider "AnCap" or something to differentiate ourselves from those guys. 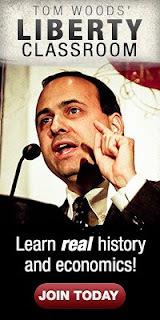 Of course, "AnCap" is an economic term, and libertarian is generally philosophical, so not a great fit, I'll grant you. I use "AnCap" and "Rothbardian", depending on my audience. Usually I say something like "I'm a libertarian...really I'm an AnCap". I think you're right that the word "libertarian" is somewhat vague and many people have a caricature in their mind of what libertarianism is. 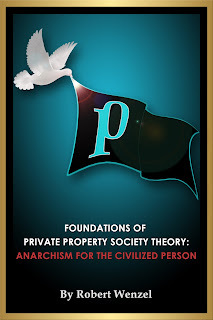 So I try to get my audience hooked with the terms AnCap and Rothbardian. I want to entice them to ask what that is, which is basically an invitation to make my elevator pitch. Plus, anarchy does refer to a political philosophy while capitalism refers (loosely) to an economic philosophy.